This wonderful entertainment complex offers a world of experience for all visitors to the Dominican Republic, located in Cofresi Beach, Puerto Plata. This magnificent complex has an elegant Marina with millionaire’s yachts, restaurants, bars, and a theatre with live dance shows, casino, disco lounge and sports bar. Day Pass visitors have the opportunity to snorkel in our coral reef aquarium, learn about marine mammals, feed exotic birds, meet tigers, walk through a tropical rain forest, and observe a dolphin show, shark show and tropical bird show and participate in the interactive programs with dolphins, sea lions, sharks and stingrays. To enhance your vacation and exclusive to Lifestyle Holidays; we are proud to offer our Members special advantages and benefits for the shows and interactive programs. 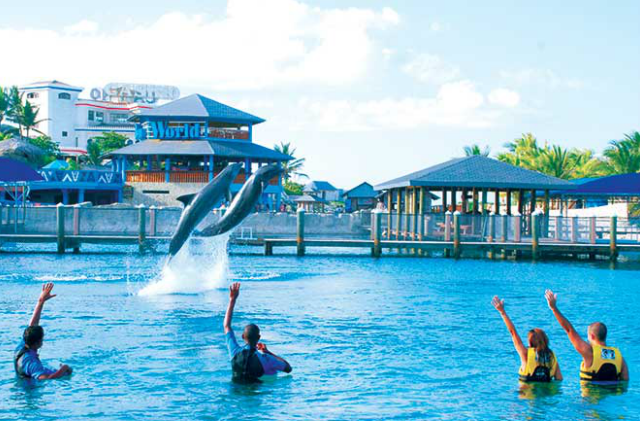 75 minutes swim session with 2 playful dolphins is the highlight of a visit to Ocean World. Playing with them, learning about them, hugging, kissing, dancing, feeding, pectoral rides and foot pushes with a boogie board will be part of the “Once in a Lifetime Experience”. 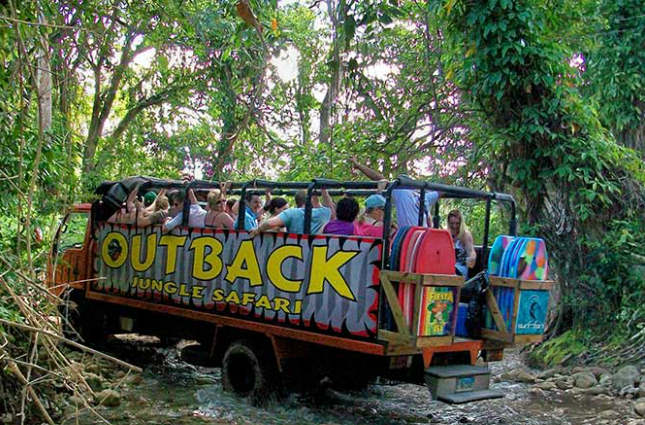 • Discovery Tour: Clients will enjoy a complete tour of Ocean World Adventure Park escorted by specialized park staff. The ultimate experience; 30 minutes program, hugging, kissing, feeding and swimming with 2 dolphins in deep water. The highlight of the swim is the dorsal pull by 2 dolphins. 30 minutes program is ideal for non-swimmers and families with young children. Standing in waist deep water to interact up close and personal exchanging hugs and kisses with these fantastic mammals. These very funny and playful animals are experts in making your laugh. Meet them up close, in our interaction pool, where you are provided with an opportunity to touch, feed, pet and play with these wonderful animals. Get a kiss, a hug and tons of memories to last forever. For those who say “only action is satisfaction or no risk no fun” the Shark and Stingray encounter is most definitely for you. These Sharks and Stingrays have been trained to be safely fed and handled by humans. Is the highlight of the evenings. It is an international show with 30 dancers on stage and 120 breathtaking costumes and Caribbean rhythms that will leave our audience breathless! Unlimited beer, rum, wine and soft drinks are included during the show and free access to the Lighthouse Lounge and Disco & casino.